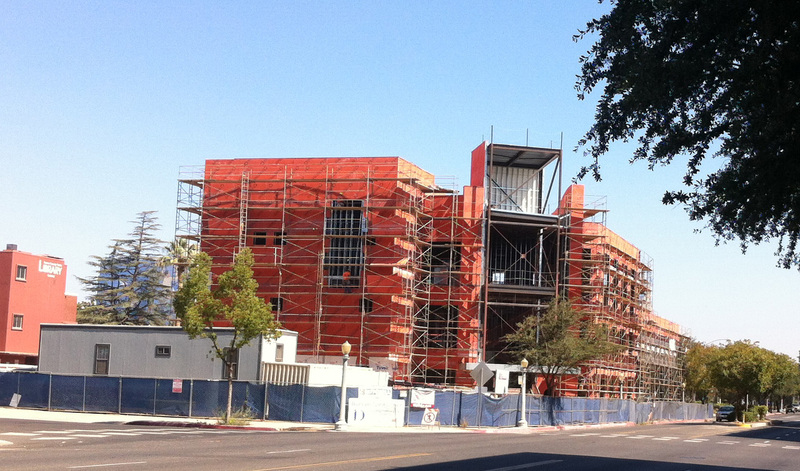 In September I blogged about all of the construction taking place in downtown Fresno. Here’s a quick little update with how things have progressed since then! I set out on foot (in the fog, even!) and loved what I saw as I wandered around our very walkable downtown. This lot is about to become a park! Yay green space! People have already moved in and the place is full of tenants! As a result, restaurants nearby are able to extend their hours to accommodate the surge of residents! As I was wandering around I saw a few other new and noteworthy changes. 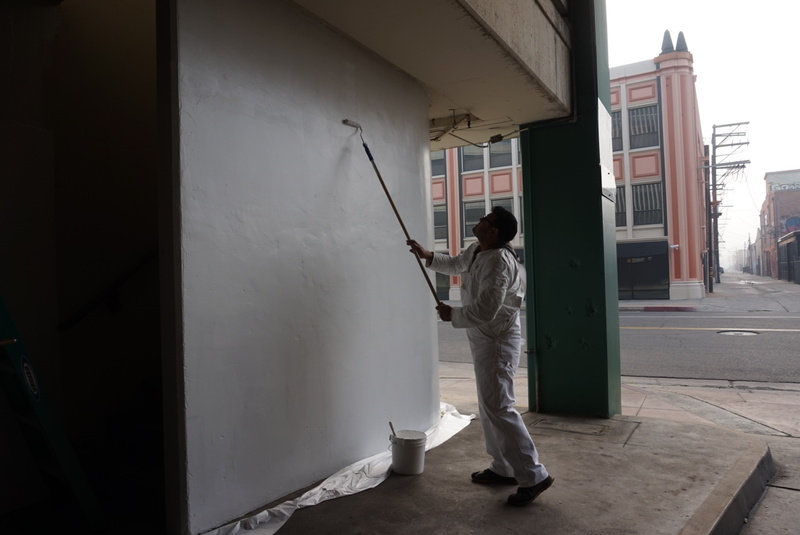 While walking by the Spiral Garage at Inyo and Van Ness I saw that it was being painted. The new parking management company SP+ just stepped in and changes are already happening, starting with a fresh coat of paint. 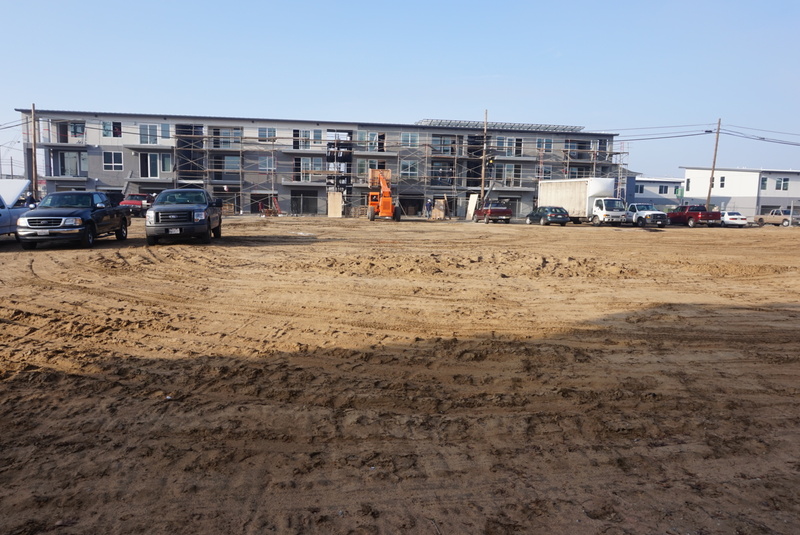 This probably just looks like a dirt lot to you, but DUDES. This is where Haron Jaguar is creating a Land Rover playground so you can test drive the Land Rovers in a way that makes sense- while roving the land! This alone levels up Downtown Fresno in a maaaaajjjor way! Skim the skyline here- there’s something a little different. 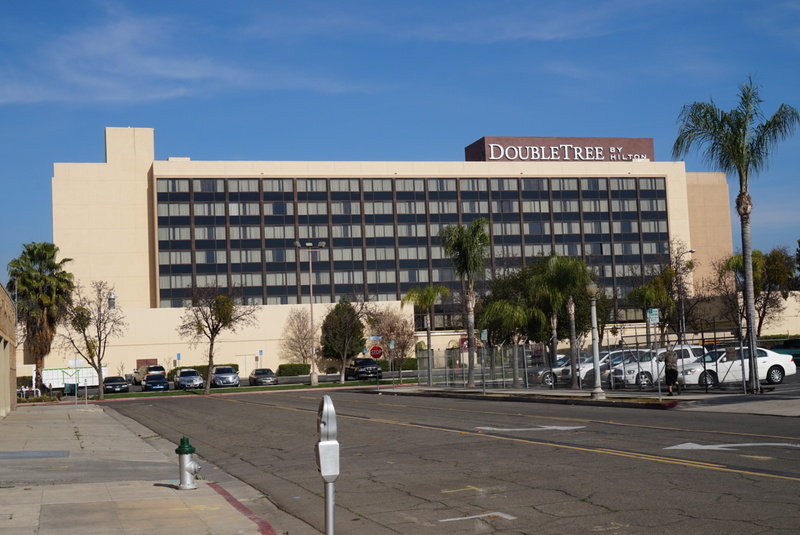 The former Radisson has fully transitioned to a DoubleTree. 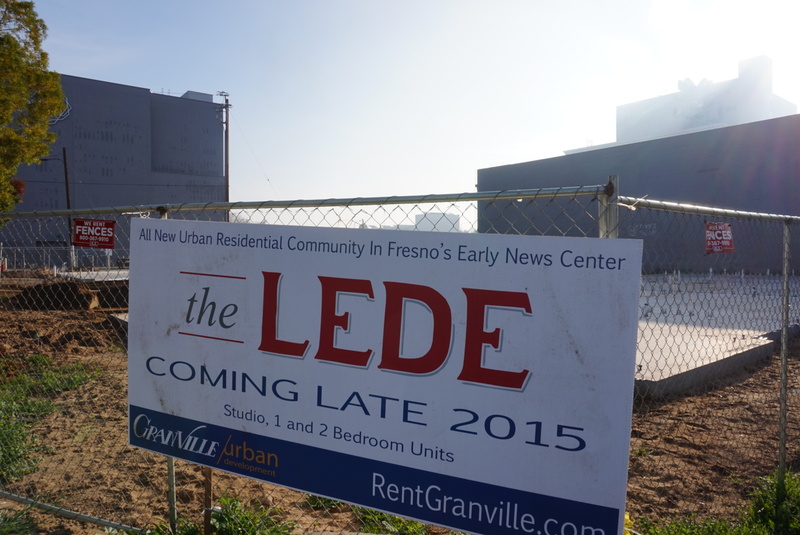 This is way more than just slapping a new sign on an old space. An $18 million loan was used to fund this renovation. Oh you fancy, huh? 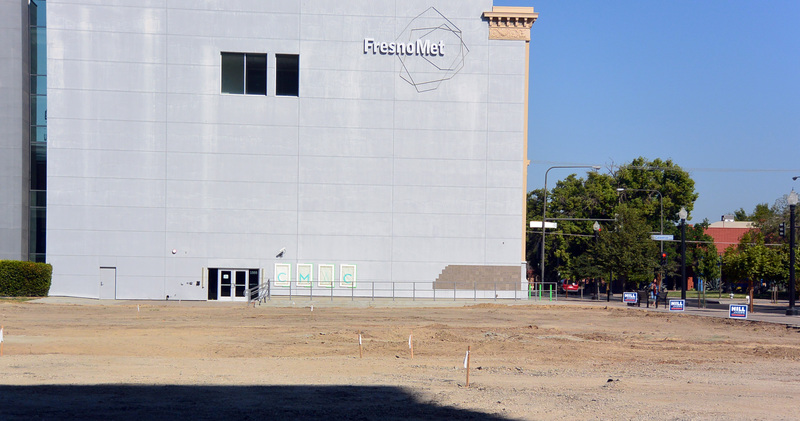 Bitwise South Stadium is undergoing a major facelift as we speak to prepare for it’s grand opening, which includes a partnership with Fresno State and the rolling out of their new Fresno State Downtown Center which will be housed here. This is such a big deal that I can’t even accurately express it. Say it out loud- Fresno State Downtown Center. Ohhh it sounds so good. 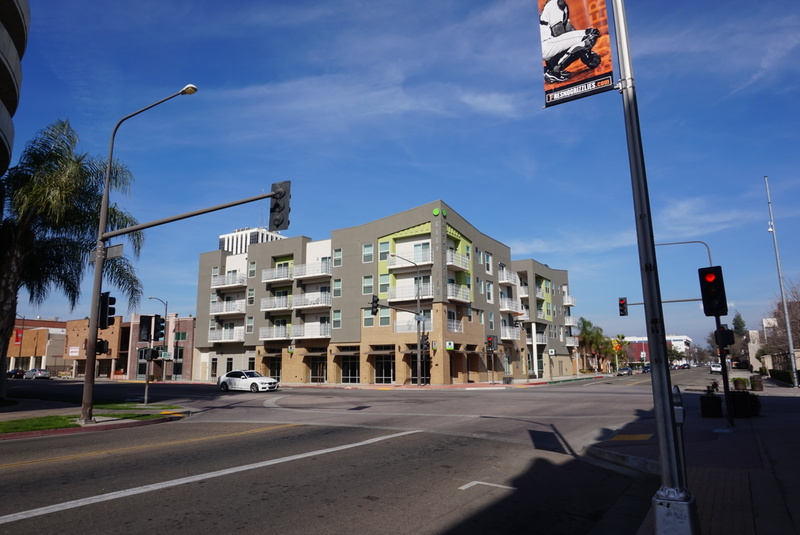 I actually don’t know what’s in store for this corner lot at Inyo and Broadway, but the adjacent building recently had it’s facade redone and it looks pretty sharp so I have high hopes! 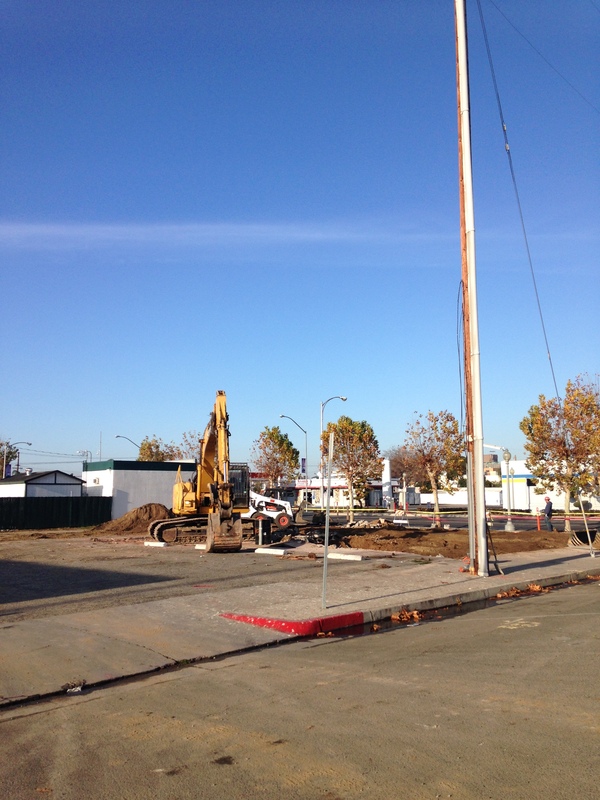 When you take a dirt lot on a pretty visible corner (this directly faces Chukchansi Park, for goodness sake!) and put something there, well that sends a message. Things are changing. Downtown is changing. We’re growing, we’re becoming the city we deserve to be. 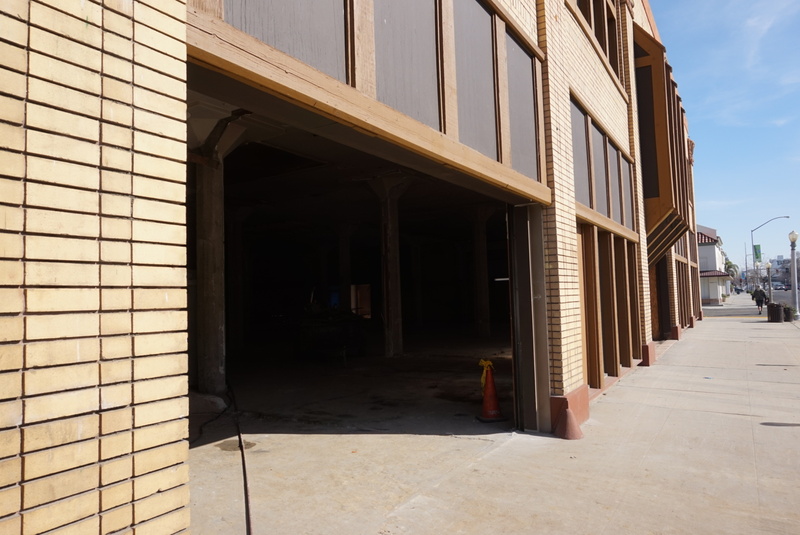 And with Fulton Street construction so close that the anticipation is palpable, we’re on the fast track to a thriving downtown!